A varied collection of musicians announced Monday morning that Salt Lake City will be among their 2018 tour stops. 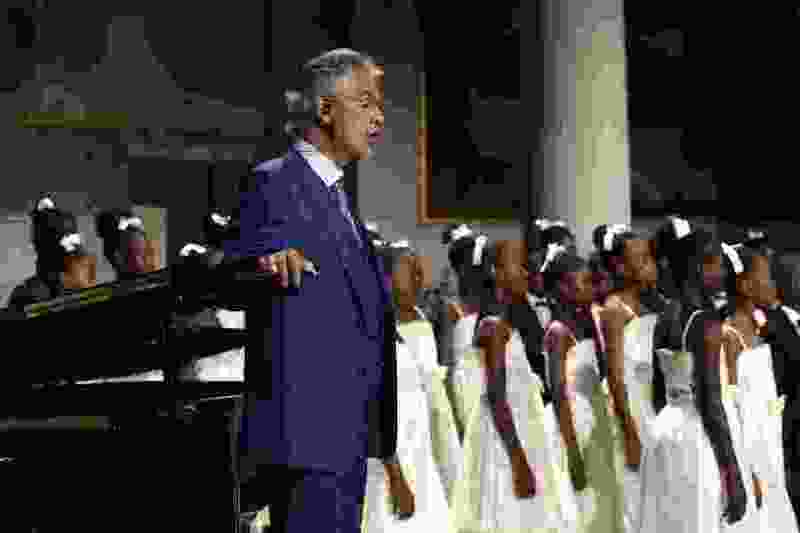 Grammy-nominated tenor Andrea Bocelli will be making his first public appearance in Utah on Thursday, Nov. 29, at Vivint Smart Home Arena in Salt Lake City. That show kicks off his brief seven-city, eight-concert tour. The legendary singer has sold more than 90 million albums worldwide. Tickets go on sale Monday, March 26, at 10 a.m. A presale for Citi Card holders begins March 19, and a fanclub presale starts March 21. Go to ticketmaster.com and andreabocelli.com for more information. Meanwhile, several heavy metal shows bound for Usana Amphitheatre in West Valley City were announced, headlined by Slayer’s farewell tour. The metal legends visit Usana on Sunday, Aug. 19. Tickets go on sale this Friday at 10 a.m. via Smith’s Tix. The band had originally intended to do just a single North American leg on its farewell tour. But with more than half of those shows already sold out or about to be, the band decided to add a second leg, with 20 additional dates. Lamb of God, Anthrax, Testament and Napalm Death will accompany the band on all dates. Go to slayer.net for more information. Grammy-nominated metal outfit Avenged Sevenfold will also be visiting Usana, accompanied by acclaimed rap/rock outfit Prophets of Rage and rock band Three Days Grace. They’ll be in West Valley City on Tuesday, Aug. 28. Tickets go on sale Friday at 10 a.m. via Smith’s Tix. A7X are coming off their first Grammy nomination, with the title track from their most recent album, “The Stage,” getting a nod for Best Rock Song. The support act, Prophets of Rage, comprises Tom Morello, Tim Commerford and Brad Wilk of Rage Against The Machine, Chuck D and DJ Lord of Public Enemy, and B-Real of Cypress Hill. Shock-rockers Rob Zombie and Marilyn Manson are joining forces again for a summer tour and will visit Usana on Wednesday, Aug. 22. Ticket information is not yet available. The 29-date “Twins of Evil” run kicks off on July 11 in Clarkston, Mich., and runs through Aug. 29 in Irvine, Calif. Go to robzombie.com or marilynmanson.com for more information. And finally, Live Nation announced its third annual Ticket to Rock program, which features discounted prices for ticket bundles to multiple shows. The A7X/Prophets of Rage and Rob Zombie/Marilyn Manson shows are part of the deal, as are two new concerts — Five Finger Death Punch and Breaking Benjamin come to Usana on Saturday, July 21, and Godsmack and Shinedown will visit on Thursday, Aug. 2. Salt Lake is among the 18 cities this year offering the Ticket to Rock bundles, which offer access to three of those shows at prices starting at $59 for GA ($69 for reserved seats), and to all four at prices starting at $69 for GA, $79 reserved. Ticket packages go on sale today starting at 1 p.m. via LiveNation.com. Correction: March 9, 3:20 p.m. • An earlier version of this story misstated the primacy of Andrea Bocelli's Utah stops. The Vivint Smart Home Arena show will be his first public concert in Utah.